I'm pretty much resigned to the fact that I need to get a welder and learn to weld. What's a good way to learn? There are books and videos available - Can anyone recommend any of them? The local community college offers classes, but the next ones don't start until August sometime. books and video's will give you a good idea, but hands on is the only way to learn . get your self a nice mig and start melting things togather. practice practice. Practice is the best way to learn. If you buy a new welder, the instruction booklet will get you started. Once you learn to run a bead, you'll quickly learn what good and bad welds look like. Be careful if you get a "little" MIG, they are notorious for producing good-looking welds that sit on top of the metal (not enough penetration). I still prefer a stick welder for farm use (anything more than sheet metal) but that's just me. I set my MIG up for aluminum, and have made a couple of nice diamond plate toolboxes. Cool. The Lincoln website is a good resource. This link takes you to the articles section; look under the "How to" tips pulldown box for some beginner tips. I've got several books, it is easy to become obsessive about welding knowledge. I'll try to find a couple of my favorites and post the titles if you are interested. Great hobby. After years of trying, I can do a decent-looking vertical weld about half the time. After reading here I would only buy a 220V welder, but I'm a little reluctant to buy without having an idea of what to look for. Of course without one it's a little hard to practice. Bill, thanks for the link. If you get a chance I'd be interested in knowing what books you would find useful for a novice. Ken, This is another case where a good dealer could be important. I have been talking to a guy at Praxair. It's a dealer for industrial gasses and welding equipment. Right now I'm looking at a Miller 210 amp mig. What I like about this place besides the price is that both times I've talked to people there they have encouraged me to call ahead and they will demonstrate the welder AND show me some techniques. My last project was a grapple for loading logs (see picture #1 & #2). For that I used a Century AC/DC stick welder ($350) and it worked well. BUT, I have major health concerns about the smoke. I was so covered in soot by the end of the night that I know I must have breathed in plenty of it. I have used a smaller 100 amp Century mig for years, primarily for autobody work (about $350 with tank). For up to 1/8 inch thickness it works great but I now have the need for something that will handle 1/4 inch so I'm looking at the Miller ($1200). Until a few years ago, stick welders were all you ever saw on farms. MIG is easier to learn and use. But, in general, if you only get one welder and it is used for general purpose welding, I would still recommend a stick welder. You also don't need to get into gas bottles, regulators, etc if you start out with stick. My first welder was a Miller Thunderbolt AC/DC. It was not expensive and it will weld anything except light sheet metal. MIG is far superior for sheet metal. MIG is also more convenient to use than stick. But, eventually I added a manual TIG torch to the Miller Thunderbolt and welded even more delicate stuff than I could do with stick. Now I have a shop with five or six welding power supplies and that old Miller Thunderbolt is still there. As others have said, practice is the only way to learn welding, but a good mentor or course at a local tech school will get you off to a good start. Unfortunately, most welding power supplies cannot do all types of welding. For stick and TIG you need a constant current power supply. For MIG you need constant voltage. I have to agree with AC on the stick welder for a first and possibly only unit. Just make sure there is good ventilation or a strong exhaust fan when you use it. The same holds true for a gasless MIG. I would spend a little more for an AC/DC unit rather than a cheap AC only stick welder. I expect to hear how it turns out for you! I also want to learn to weld...expecially after "speaking" with many of you who can make and repair many of your own farm implements! Ken, stick welding is a VERY fine and difficult art. My friend who I help out with welding projects, the latest of which was my 5'x 8' trailer for my tractor uses a Hobart Iron Man 210. 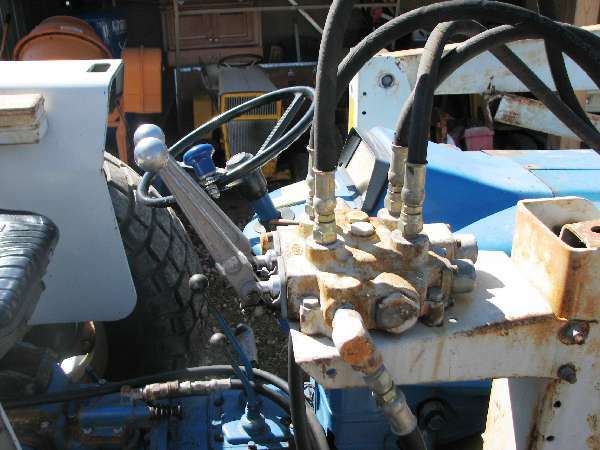 He also has a DC stick welder which he uses for very thick metal welding and welding in the field away from line power. I have been helping him with a tilt bed project for his Freightliner and he has been able to weld 3/8" channel iron very effectively with the Iron Man 210. A Miller 251 would allow you to weld upto 1/2 metal but I think it would be overkill. You can always make multiple passes. I personally like the Miller and Hobart models but I am sure the Lincoln and others work well too.